LOS ANGELES—Blasting the publication for its gentle treatment of the divisive figure, far-right news outlet Breitbart was criticized Thursday for publishing a humanizing profile of a libtard beta-cuck. 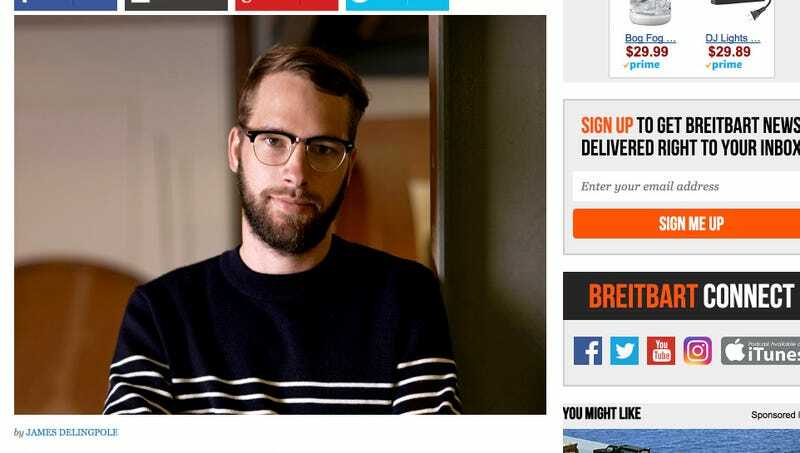 “It’s absolutely absurd that Breitbart of all places would think it was okay to portray this low-T liberal shill as a sympathetic figure,” said Roy Hagar of Traverse City, MI, one of many readers expressing anger and confusion over the site’s decision to treat the globalist SJW like he was just some regular everyday neo-Nazi. “Those blue-pill snowflakes already have enough of a bullhorn without Breitbart giving them even more media attention, and we can’t start normalizing their behavior. Just because he goes to Olive Garden with his family doesn’t mean that he’s not actively promoting white genocide.” At press time, Breitbart issued a retraction of the piece, explaining that it was never its intention to lend credence to the views of soy boys.